Bird Watching: Trade Deadline Drama and The Dreaded Pen-Botte! But no longer! We’re back and better than ever…sort of…Although both of us are still battling bugs, the blog must go on. So, without further excuses and stuff, let’s get into it! Of course, many fans wanted the Cardinals to acquire an offensive piece – perhaps a bench bat or an everyday second baseman. But who do you replace? At second base, Daniel Descalso and Skip Schumaker are your primary options. Yes, both hit from the left side, so a decent RH option is a defensible area for upgrade (more about Tyler Greene later), but Descalso is handling LH pitching well, and Schumaker is perhaps one of the team’s best hitters with RISP (a frustrating category all on its own). Add to that the fact that both players are grinding, respected members of the clubhouse that have real value at multiple positions (SS, 3B, 2B, CF, etc. ), and adding a third player to the second base mix just doesn’t make a lot of sense…especially within the larger offensive context (every other position for the Cardinals is either well-covered or flat-out stacked). 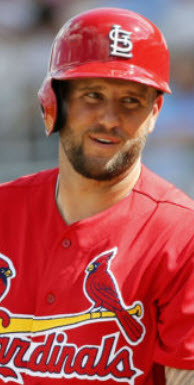 If Lance Berkman and Carlos Beltran are both playing, that leaves Allen Craig from the right side and Matt Carpenter from the left side sitting on the bench. If Craig is playing, that leaves either Berkman or Beltran, both switch hitters, on the bench. If Carpenter is playing…well, you get the picture. Yes, I understand the value of a good pinch-hitting bench guy, but it’s not like the Cardinals lack power or RBI potential on the bench regardless of who starts the game. With Berkman, Beltran, Craig, and Carpenter (BB & CC?) all sharing two starting positions in the field, the need for an additional bench bat is less a need and more a spoiled luxury. And that brings us to the ‘pen. I know, I know…there have been stretches where the bullpen has been just downright atrocious, but let’s remember the context. When Kyle McClellan went down, Linebrink disappeared, and both Garcia and Carpenter made camp on the disabled list, this bullpen was thrown into chaos. First-time manager Mike Matheny had his work cut out for him and no Dave Duncan to lean on. The relievers had to re-define roles and navigate an increased innings load on the fly and absent a veteran leader. And let’s not even mention the LHP fiasco. But all that has changed. Scrabble has settled in, Matheny has found a way to slot pitchers into comfortable and fairly predictable roles, and Mo went out and signed veteran pressure-pitcher Brian Fuentes. 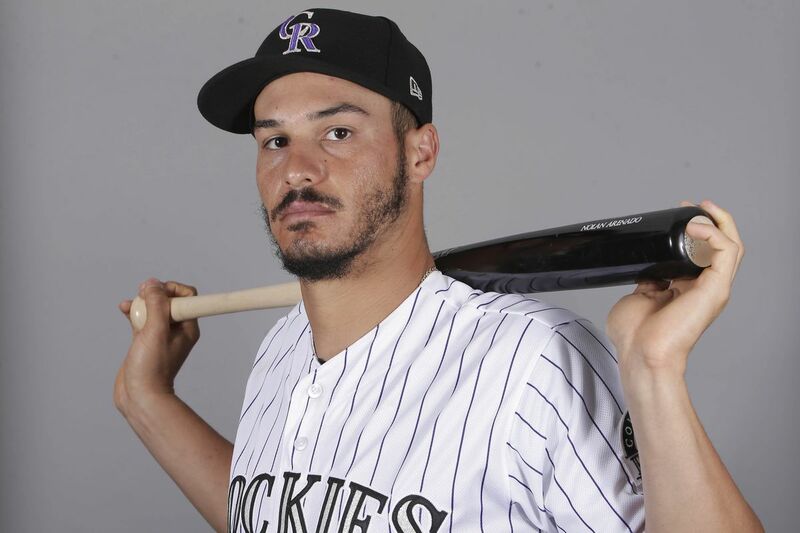 Yeah, a lot of fans hated the Fuentes signing, but indications thus far are promising…and more importantly, the ‘pen seems to have righted itself. Even Fernando Salas seems to have returned to form. And yet still Mo saw a need and attempted to address it. 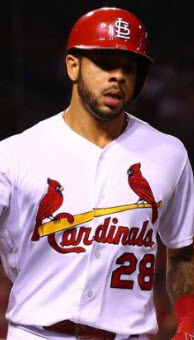 With veteran reliever Kyle McClellan out, the Cardinals lost not only a leader but also a RH option capable of pitching multiple innings to both LH and RH hitters. In other words, they lost a critical 6th and 7th inning gap man. With Boggs and Motte combining to form an intimidating tandem, and the rest of the ‘pen joining forces to fill the corners, it’s been the absence of an intervening pitcher on a regular basis that has vexed the ‘pen more often than not. 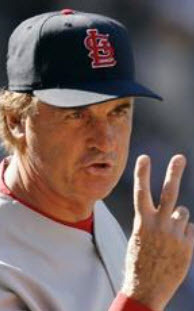 Now, however, Mo seems to have provided an answer. This afternoon, just moments before the official end to the trading deadline, Mozeliak sent Zack Cox to the Marlins in exchange for Edward Mujica (don’t ask me how to pronounce it…I don’t know), a RH relief pitcher with a low 90s fastball and a good slider. 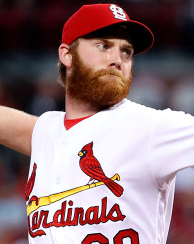 Reports suggest he has a tendency to be homer prone, but ultimately, he could be the solid reliever the Cardinals have been looking for to plug the gap between starters and the Pen-Botte (that’s Bullpen + Boggs + Motte = PenBotte, a machin-like duo that terminates hitters in the 8th and 9th innings)…plus, he’s under team control through 2013. Need identified…need addressed. And perhaps more importantly, without dealing from the organization’s elite prospect group (Miller, Martinez, Rosenthal, Wong, Taveras, etc.). Ultimately, it comes down to this…this team’s sporadic record this season has very little to do with holes or excessive needs and much more to do with…well…stuff. Sloppy play, inability to quickly adjust to bumps in the road, an overwhelming amount of bad luck (the onslaught of injuries in bulk? ), and especially a lack of timely hitting. All of that and more has contributed to this team’s struggles. And almost none of it is properly addressed by making a trade – especially in the costly market that developed in 2012. No, this team is better off making a minor ‘pen move and standing pat with the bulk of its roster. About Tyler Greene and the Trade Market… First, the idea that Greene has no value on this team is just false. The guy has incredible speed and can play any position but pitcher and catcher on the field in a pinch. When he manages to make solid contact, he has amazing power for a middle infielder, and his hustle has never been in question. Second, the guy has literally no trade value. If we don’t even want him on the roster as a back-up utility guy who never plays, why would someone else give up anything significant to get him? Third, if the Cardinals want to upgrade the out-of-options Greene, they don’t need to look to the trade market to do it. With the negligible value they would receive in return, they could just as easily release him and promote a AAA infielder to take his place. Hmmm…how about Ryan Jackson? The promising shortstop in Memphis is hitting .272/.334/.402 with 9 home runs and 42 RBIs. Sure, he’s not knocking down walls with his bat, but he’s not exactly tanking in AAA, either. Surely he’s capable of out-performing an invisible Tyler Greene at this point in the season, right? 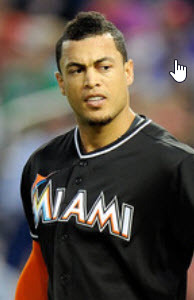 Or, want a speed guy with the ability to pinch-hit as well as pinch-run? Adron Chambers is your guy. Even better, in 4 weeks or so you can call them both up with September call-ups! So let’s not pretend the Cardinals are stuck with Tyler Greene just because they didn’t deal him. They can upgrade their non-hitting, last-ditch utility player any time they want to. Hey…how ’bout that…Shelby Miller may earn that September call-up after all… After a rough start, Miller seems to have turned his season around. In his last 4 starts, he’s turned in two scoreless appearances while allowing 7 ERs. In one of those scoreless outings, he allowed only 1 hit over 5 innings. In his last outing, he threw 7 innings, allowed 2 ERs, and struck out 8. Sure, he had one hiccup start where he allowed 5 ERs in just over 4 innings, but that’s fairly normal for the hitter-heavy PCL. All in all, if Shelby finishes strong for the month of August, he could see St. Louis in September. Isn’t Zack Cox worth more than a middle reliever with an inflated ERA? Well…sort of…maybe. Cox was a first rounder for the Cards, and he has a promising bat…but he’s struggled so far at AAA. 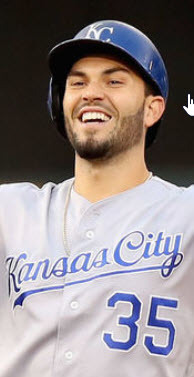 The suggested reason for his struggles is a valid one – that he was pushed into AAA a year too soon because Matt Carpenter made the MLB team out of Spring Training – but no one can be sure that’s the cause. What if he turns in the same kind of performance next season? And the season after that? Every year of sub-par offense only drops his value as a prospect (’cause he ain’t winnin’ no defensive awards at 3B), and clearly the organization is reluctant to see another Bryan Anderson situation develop in Memphis. Add all of that to the numerous third basemen the team drafted this year and the success of David Freese and Matt Carpenter in St. Louis, and it becomes clear that Cox has no future with the Cardinals. 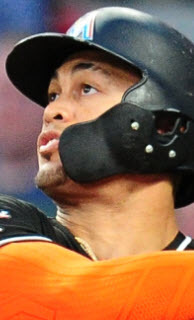 Of course, I’ve heard some suggest moving Cox to 2B, but with the rapidly ascending Kolten Wong in the system, Cox would only be delaying the inevitable…a trade to another organization. Yes, the Cardinals could have waited on Cox to rebound next year and then trade him in July when his stock recovered a bit…but that assumes he rebounds. There’s always the possibility that what we’ve seen from him in Memphis so far is exactly what he is…a bat that never developed and a fielder without a position. In that case, it’s always best to get out early. (oh…and about that “early push to AAA” theory…the Marlins have announced Cox will begin his career in their organization at AA, not AAA). Okay…that’ll do it for today. The Cards get back to it in Colorado tonight, a stretch that continues to see the Redbirds face losing teams. They must take advantage and rack up some wins, because the surging Reds aren’t slowing down anytime soon, and the Dodgers, Pirates, Braves, and Giants all made significant moves to bolster their Wild Card hopes.